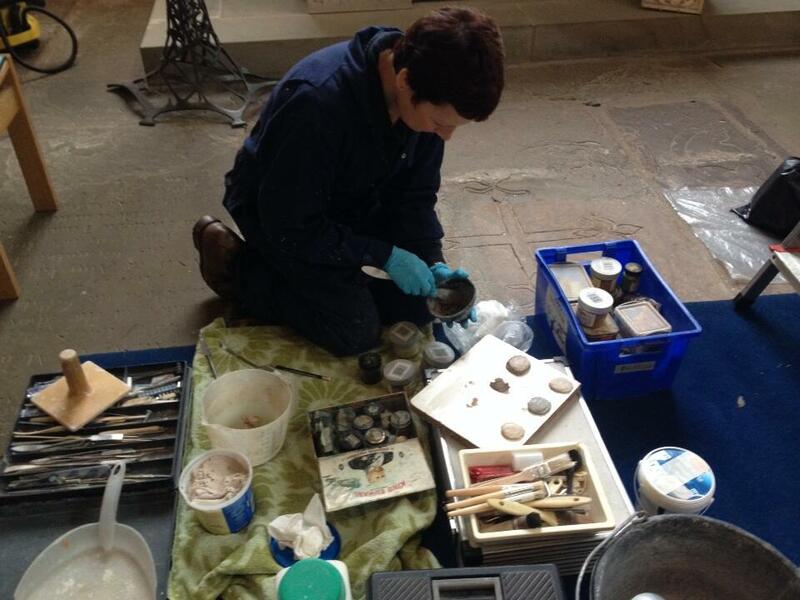 The Priory Church is a buzz with restorers, archaeologists and architects this week. 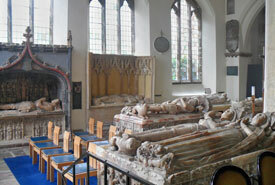 The Herbert Chapel Tombs which caused a Victorian travel writer to describe thePriory Church as the Westminster Abbey of Wales are having their first clean in nearly 20 years. 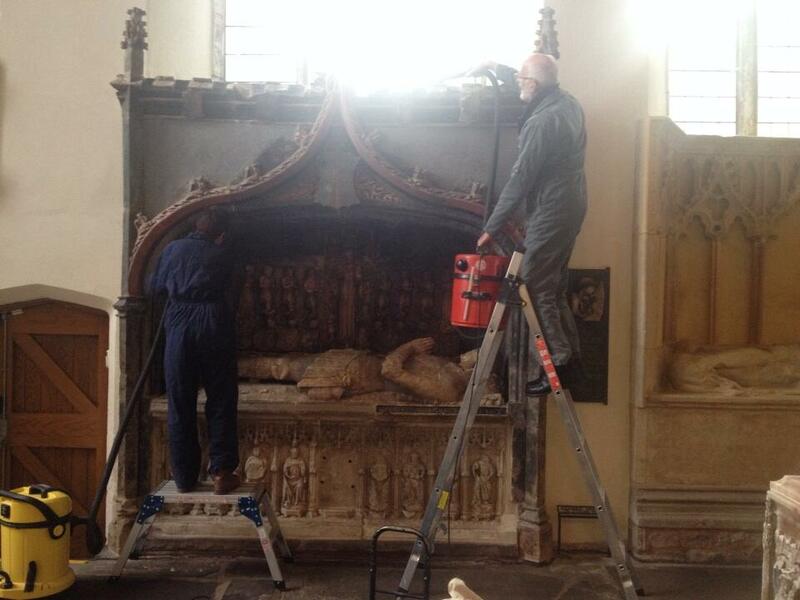 Michael Eastham and his team who restored the monuments in the late 1990’s are back on site for the cleaning operation, funded by the St Mary’s Monuments Fund. Meanwhile in the Lewis Chapel external East wall of the Chapel scaffolding will be erected later this week in order that our Church Architect, Michael Bartosch and his team can ascertain the soundness of the window prior to the installation of the new Winston Memorial Window. They will also do exploratory work to prevent water ingress through the east wall. 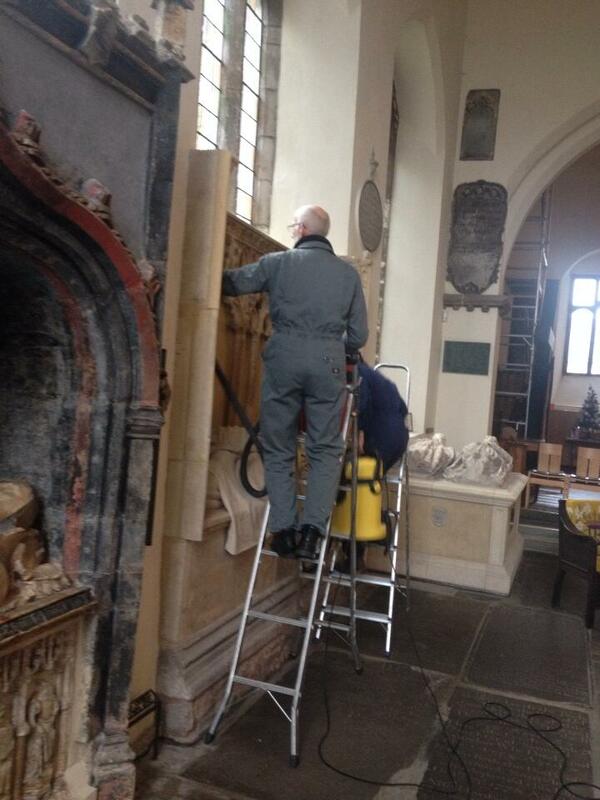 The Vicar, Fr Mark said, ” As stewards of this place we are called to renovate and renew it for future generations. 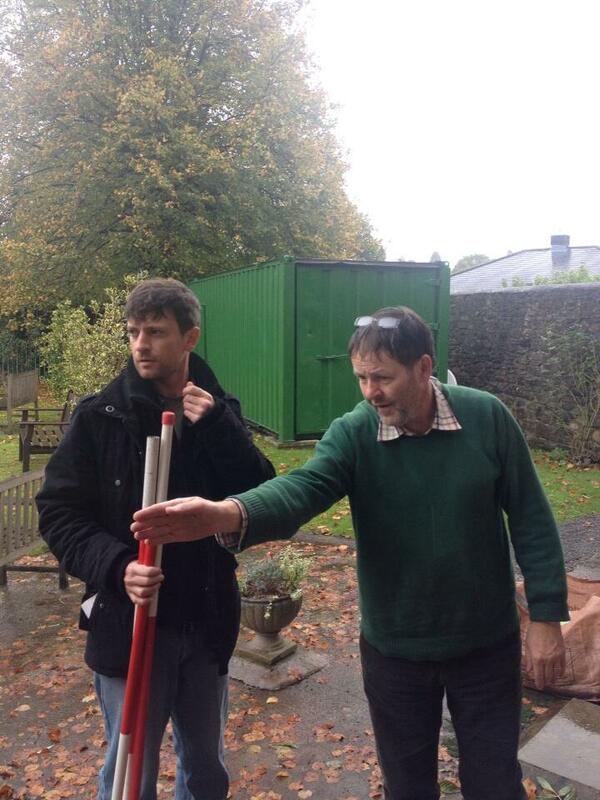 We take our responsibility very seriously, and are grateful to those whose financial support enables us to do it”. 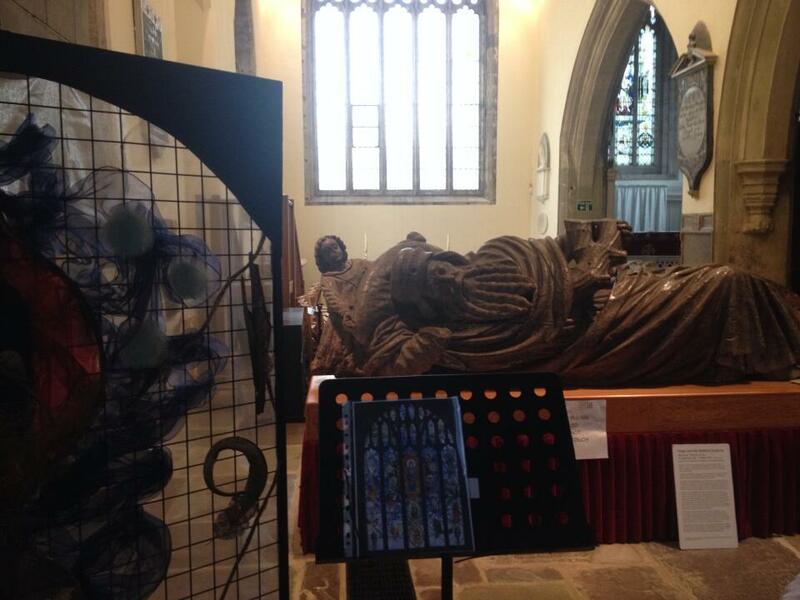 Over 70 arrangements designed by the Abergavenny Flower Arrangement Society and friends tells the story of our Lord Incarnation have been assembled in this ancient Priory Church. The Festival is Open to the public daily from Thursday, November 21st to Tuesday November 26th. Daily Services will continue as normal during the Festival. 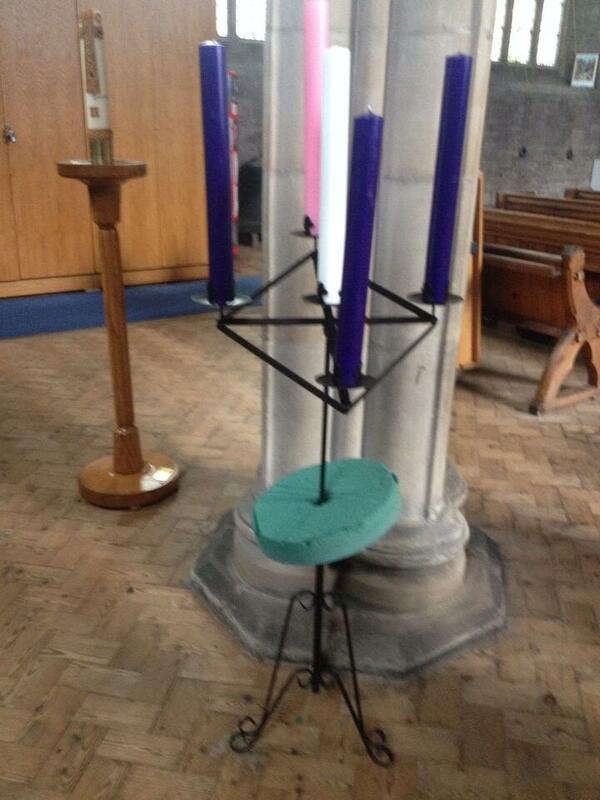 6pm Advent to Candlemas: A celebration in Words & Music- will visit and reflect on some of the displays. Depiction of the Christmas Massacre at Abergavenny castle. Preparations are well under way for the Festival of Flowers which runs November 21st – 26th arranged by the Abergavenny Flower Arrangement Society and friends. At the Festival of Flowers we are able to look at the four seasons which tell of our Lord’s Incarnation. ADVENT is a time of waiting and anticipation for that much promised coming of the Messiah. 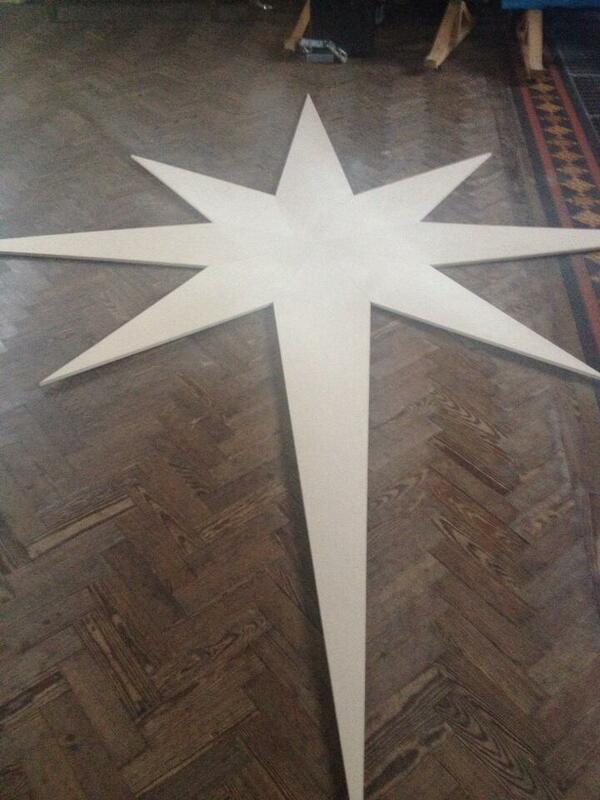 CHRISTMAS is the celebration of the Messiah’s birth, but in a very unusual setting in a stable. 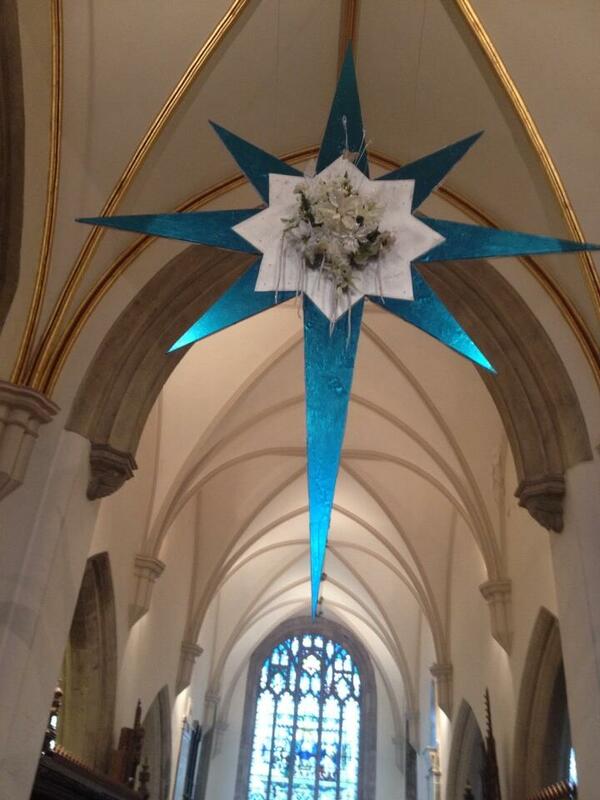 EPIPHANY and CANDLEMAS are a showing of the Messiah to the world. 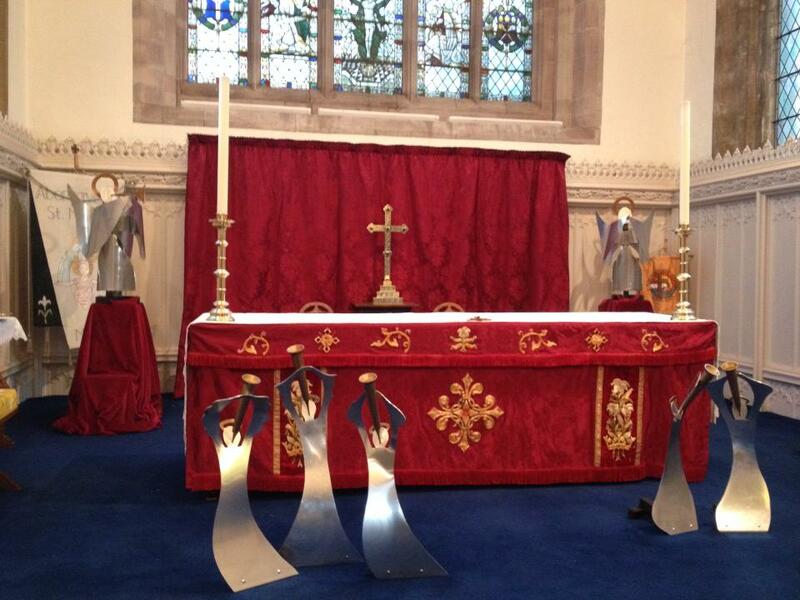 In this Festival we hope in a small way to show the ‘Word made flesh’ to this corner of the world. Light is the common thread that runs through these seasons, from lighting the Advent Wreath, through carols by candlelight, to blessing the candles on Candlemas, so candles will feature largely in our displays. We have also attempted to show how these seasons and Feasts have been celebrated and marked here in Abergavenny, from the Christmas Day massacre at Abergavenny Castle to the present day. Although the Festival of Flowers is held in late November, I am sure that all who visit will receive a warm Benedictine welcome! Where will we hang this? How will it be decorated? He continued by referring 2 Thessalonians 2. 15, “The instruction in today’s Epistle to ‘stand from, and hold tight to the traditions which you were taught’ is an instruction to which all our serving soldiers, sailors and airmen could hold true. Civilians will be more used to such instructions on the tube or on an airport bus – an instruction to plant both feet as solidly as one can. What St Paul is saying is in times of trouble one needs to have something strong to hold on to see you through it. Many of our serviceman and women have seen things that not human being should have had to have seen. We need to stand with them alongside their families and units and support them on the long road to recovery. That is the nest way we can show our appreciation of their service, so we may might have peace. 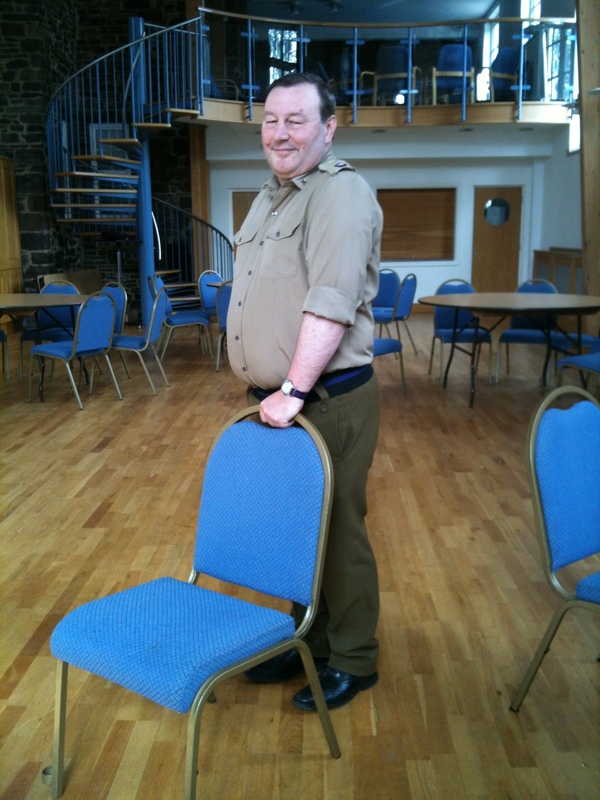 Fr Mark served in the Royal Army Chaplains Department from February 1998 to Remembrance Day last year. 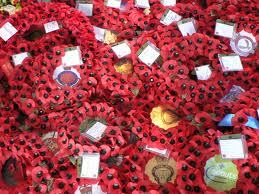 We will hold our Act of Remembrance at 10.50am on Sunday, November 10th followed by a Sung Eucharist. Today our Archaeologist-in-residence and TV presenter, George Nash is doing an above ground survey in and around the Lewis Chapel. 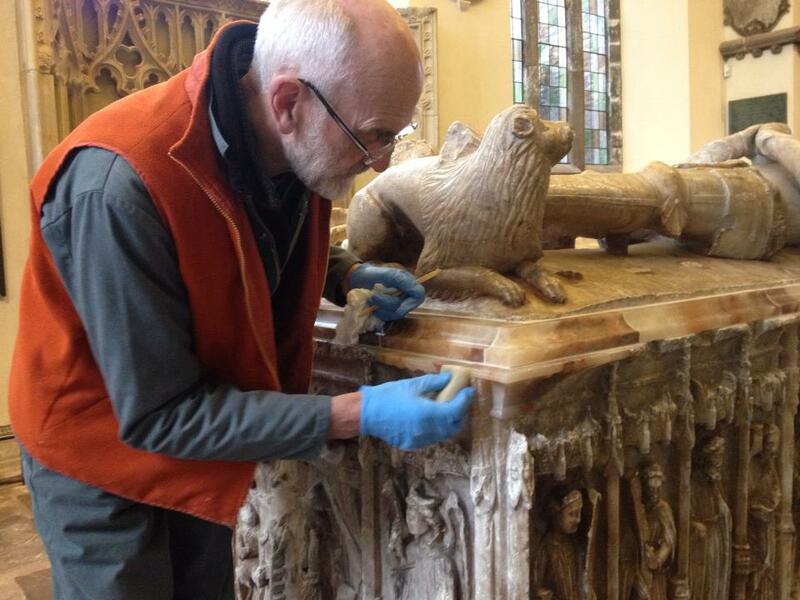 Dr Nash’s work is prerequisite to the restoration work in the Lewis Chapel which we hope to start in 2014, and is essential for the on going conservation management of the site.